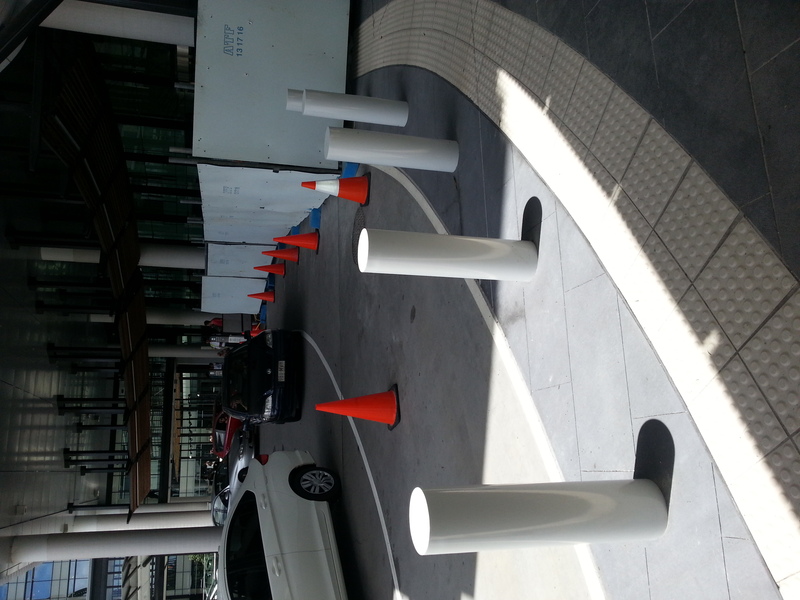 TPS Traffic and Parking Systems recently installed heavy duty crash rated bollards at the Gold Coast University Hospital Project. 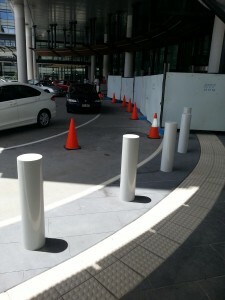 The requirement was for bollards that could withstand an impact from a vehicle to protect the main entry and the pedestrians in the main emergency entry waiting area. Shallow mounted impact rated bollards (approximately 150mm depth) were also installed for a suspended slab located above an underground car park, these bollards were a special request from the client and were engineered and designed by TPS.